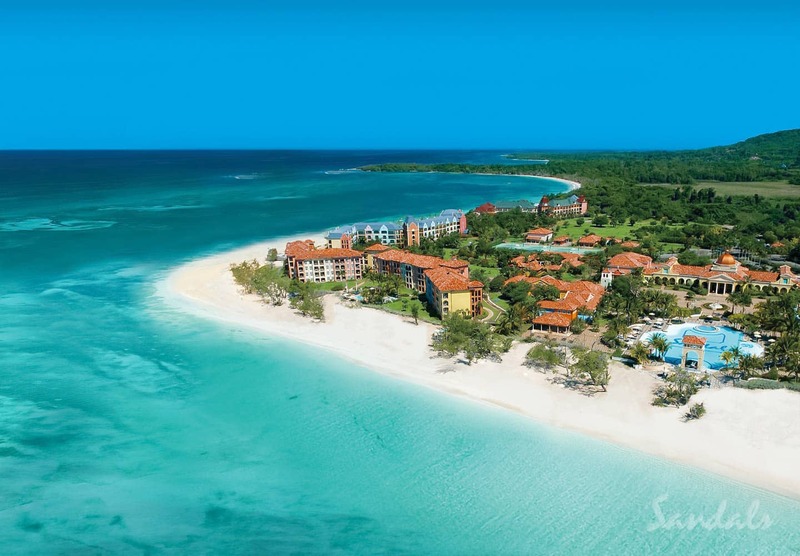 Sandals Whitehouse Jamaica (now Sandals South Coast) – Discover the Undiscovered! Discover the undiscovered. Journey to a forgotten Jamaica where the natural beauty is simply unforgettable. Within a 500-acre wilderness preserve, blue mountains, lush palm groves, pristine coastlines and shimmering turquoise waters create an unbelievable backdrop for a monumental luxury resort. Sandals Whitehouse — now known as Sandals South Coast Jamaica — perfectly blends the exotic allure of the Caribbean with the refined elegance of Europe. 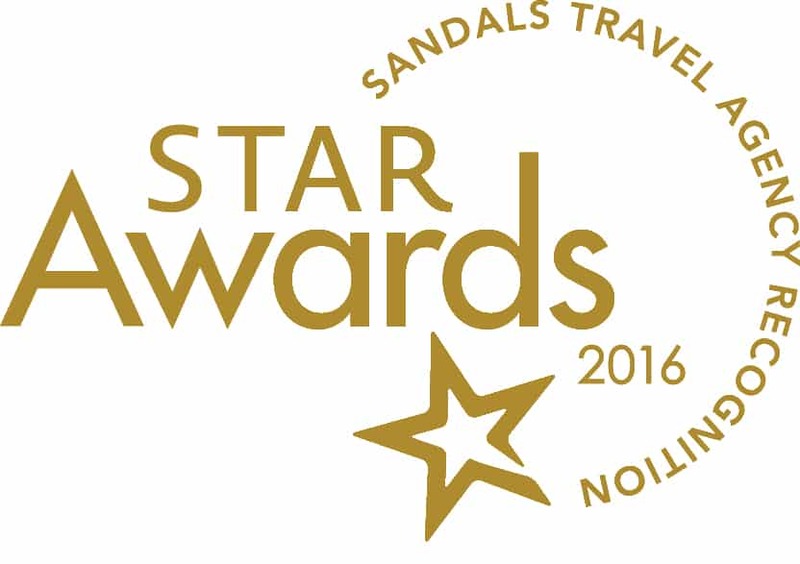 While the name may have changed from Sandals Whitehouse, the top-notch service and unbeatable amenities sure haven’t. Charming Italian piazzas and fountains are surrounded by gardens resplendent with fragrant foliage, while three European-inspired villages – Italian, French and Dutch – are home to luxuriously appointed rooms and suites. Sandals Whitehouse (now Sandals South Coast, Jamaica) is the luxury Sandals resort that is truly a world unto itself, where time is all but forgotten and the only moment is now. Love the idea of European-inspired rooms and suites? Then you’ll love this even more: Each room or suite offers magnificent views overlooking the two-mile long beach. If you upgrade to butler service on your honeymoon, wedding anniversary, or other celebrations, then your butler can have a cooler packed with your favorite refreshments ready and waiting for you down at your favorite romantic spot on the beach. P.S. Be sure to check out the brand-new Sushi in the Sand restaurant, right by the water’s edge, where you can enjoy the freshest seafood in Jamaica! This isn’t your average, ho-hum resort food. 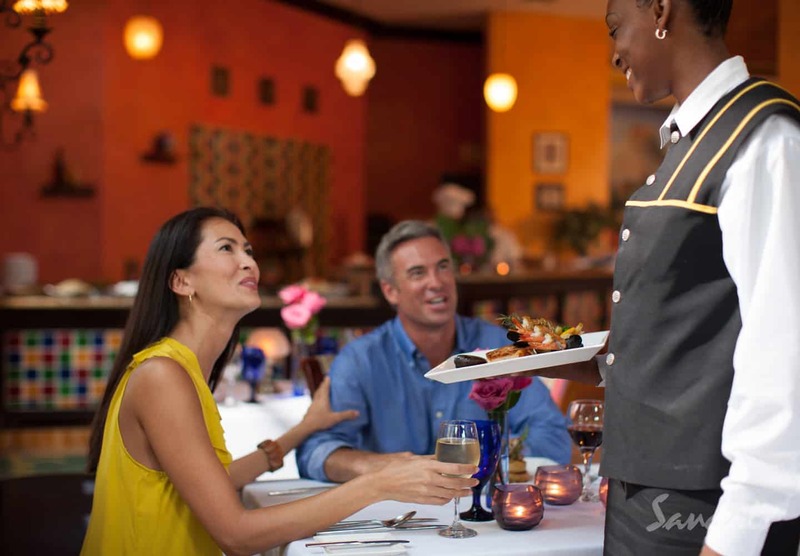 Sandals Whitehouse, now Sandals South Coast in Jamaica, offers seven restaurants serve mouthwatering gourmet cuisine from around the world. You can also kick back with your favorite top-shelf drink at the sophisticated piano bar, chic nightclub, or cozy beach bonfire. Among the first of its kind in the Caribbean, Sandals South Coast’s over-the-water bungalows are pure sophistication. Wake up to endless views over the bright blue Caribbean sea, and then unwind in your own private infinity pool. No, you don’t have to travel half way around the world to experience this luxury vacation! You can also enjoy the Latitudes over-the-water bar, and you can even tie the knot in the over-the-water chapel. Book Your Dream Resort for Two People in Love! Build Your Own Dream Destination Wedding or Romantic Honeymoon Now! 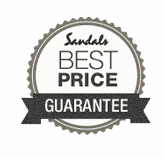 Sandals South Coast (formerly Sandals Whitehouse) is the perfect getaway for romantics. 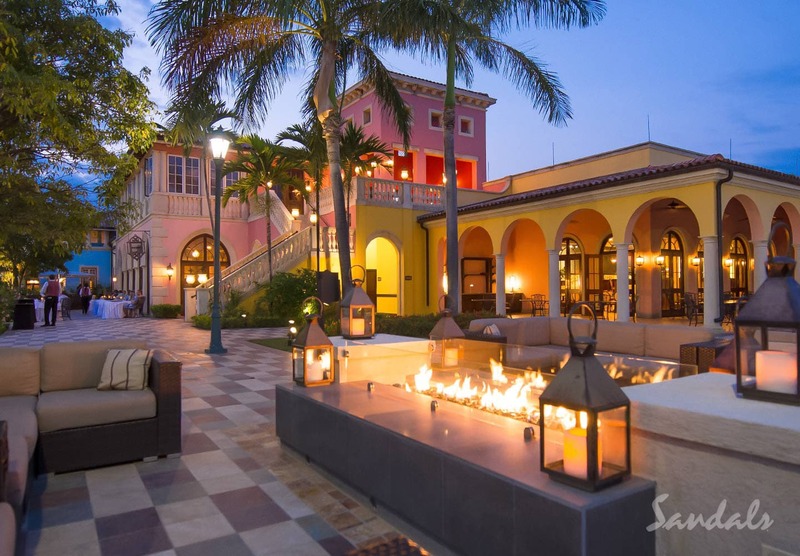 The graceful architecture and beautiful fountains evoke the old-world romance of Europe, unlike anywhere else in the Caribbean. You can amp up the romance, too, with a private candle-lit dinner on the beach. Imagine, just you and your beau, an endless beach and the stars above! There’s a reason Sandals South Coast is one of the top honeymoon destinations in the Caribbean. P.S. Check out our client interview, sharing experiences from their romantic 20th wedding anniversary celebration at the Sandals resort in Whitehouse, Jamaica (now Sandals South Coast). They had so much fun exploring the entertainment at the Sandals European Village with its different restaurants, bars, cabaret, wine tastings, and last but for sure not least watching the fire blowers, limbo dancers and cango line. 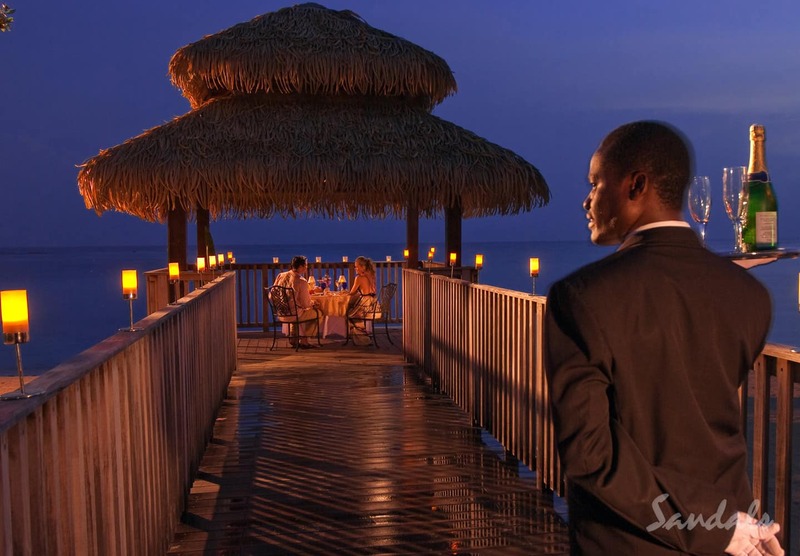 Get a Big Step Closer to Your Romantic Dream Vacation at Sandals Whitehouse (Sandals South Coast)! Ready to start planning the memory-making romantic escape to Sandals Whitehouse (now Sandals South Coast) that you’ve always dreamed of? 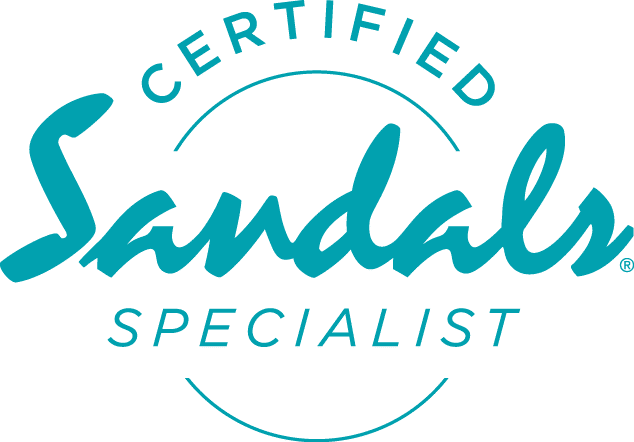 Check out our Sandals vacation deals or work with our Southern travel team in Augusta, GA, and online travel advisors as your certified Sandals travel specialists! Just get in touch to start turning your travel dreams into reality today!